ITV came to film the site of the henge on Monday 23rd April and we brought along 9 children from Windmill Primary School armed with one of our cameras to do their own behind the scenes reporting and interviews. They tell us what they think of it all. 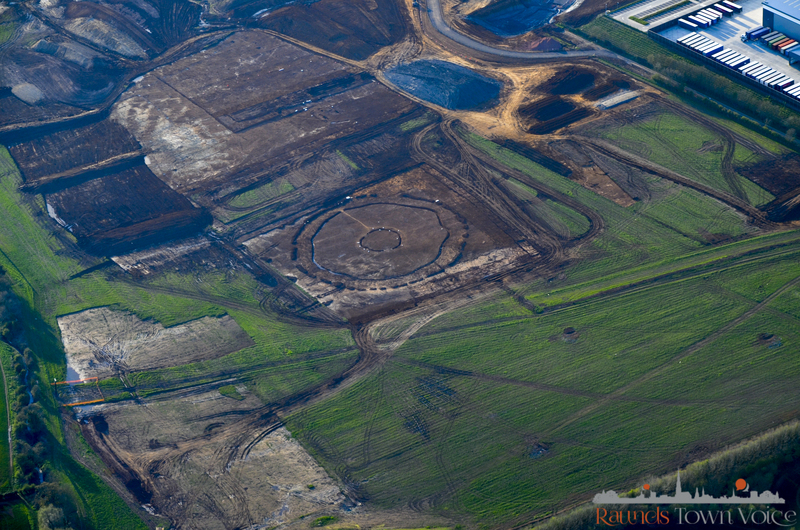 Winvic, the company who are currently carrying out building work for the new Warth Park expansion issued a Tweet on Social Media which shows a photo of the excavated ancient henge that archaeologists have ‘discovered’. 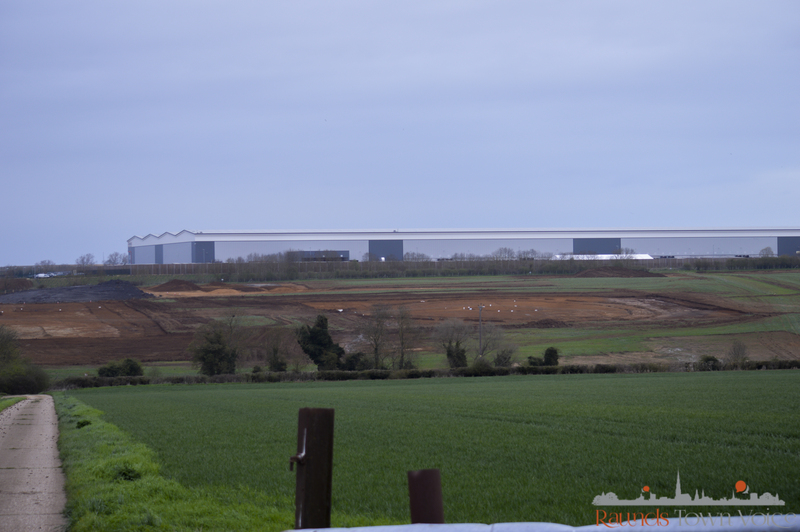 The tweet sparked interest from the local community and in particular members of the public who had originally campaigned against the development. 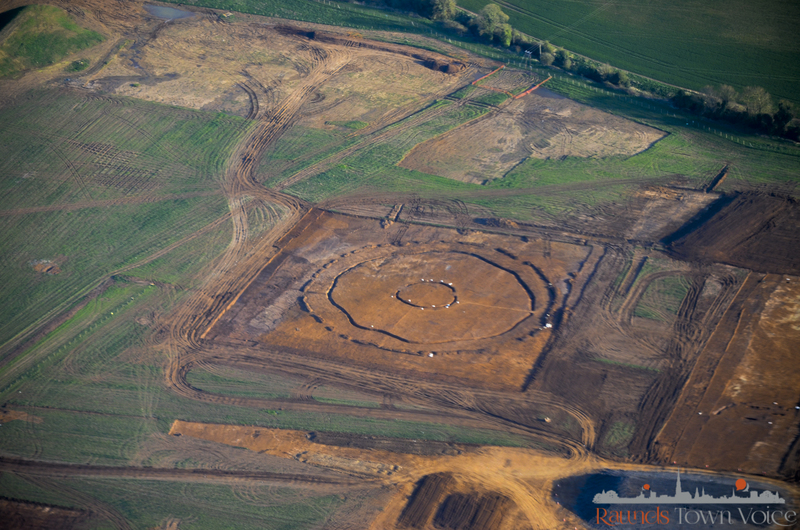 They highlighted the historic significance of the ancient henge, which planners were aware of at the time of the application being approved. 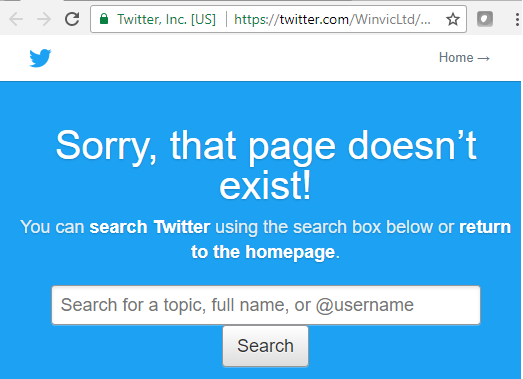 Following multiple replies and retweets, the tweet has now been removed from Twitter by Winvic. 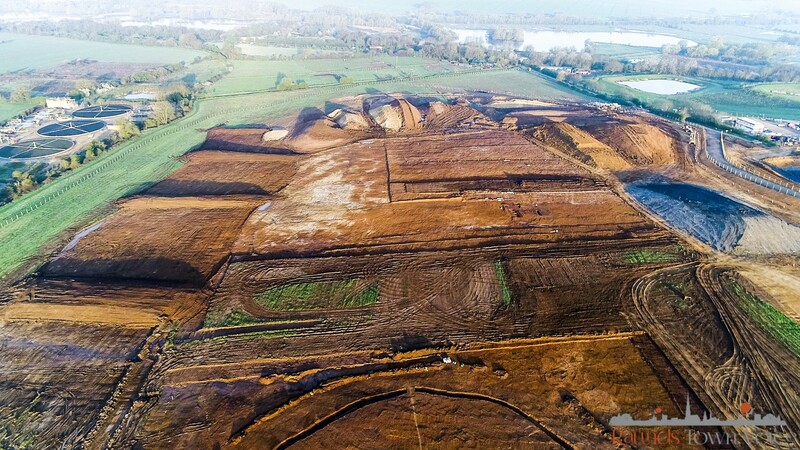 Such retweets included appeals to English Heritage, local MP Tom Pursglove, BBC InsideOut to try to raise awareness in the hope that the ancient site could be kept and preserved for future generations. 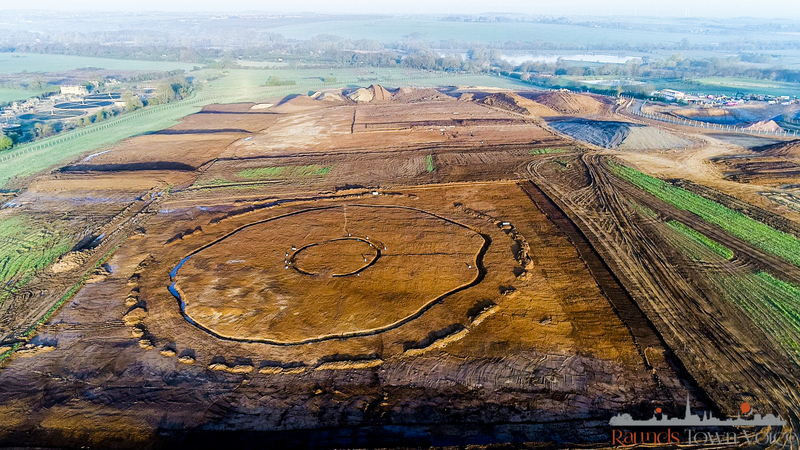 “To our knowledge a henge on this site was discovered back in the 80s (it isn’t a scheduled monument). 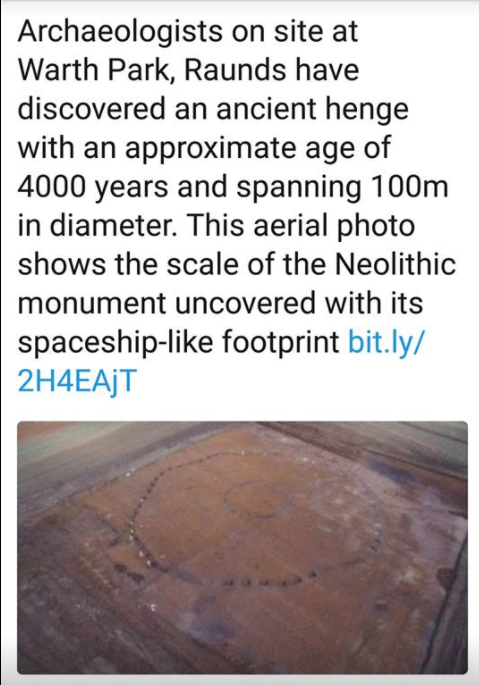 Is it actually a Henge at all? 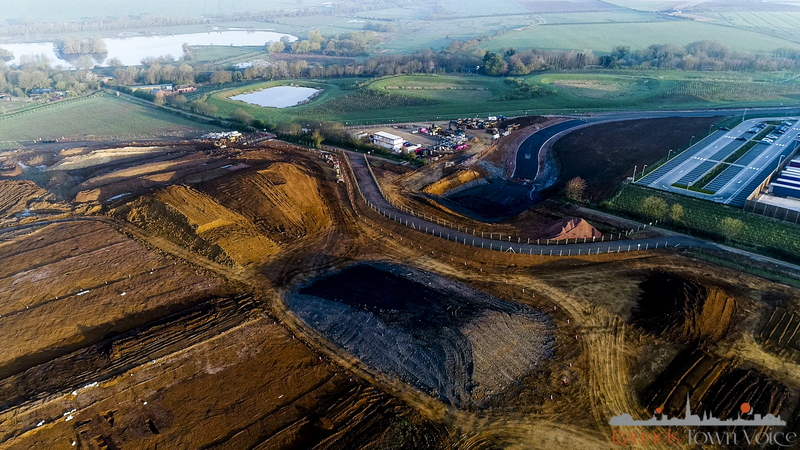 “I’ve been working on the archaeological side of the Warth Park development since 2011 and on this phase since 2015 so first of all I can assure you that the possible henge was already known about; it had been recorded from aerial photographs and in fact both ditches were investigated as part of the Raunds Area Project in the 1990s, so it is not in any way a new discovery. The question as to whether this is a henge at all seems to pivot on the fact that no obvious or identifiable entrance way has yet to be identified. Could an entrance have existed but simply been filled in after its original use as a henge many years ago? 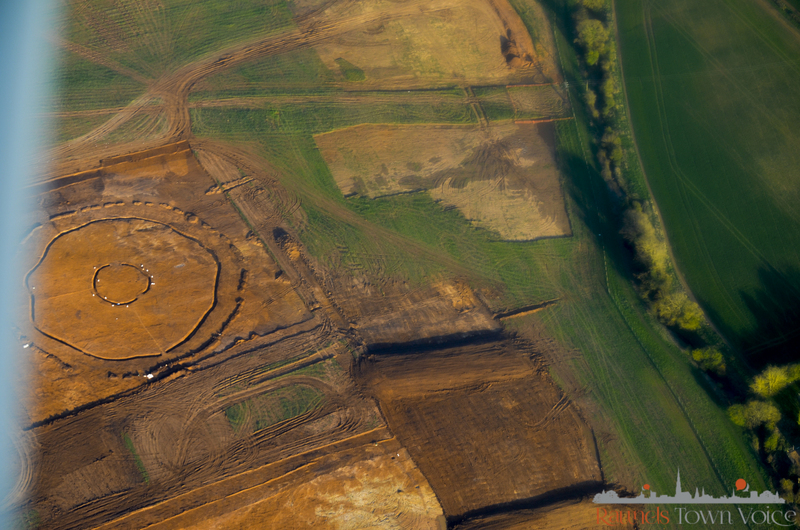 An ancient ‘henge’ has been discovered near Raunds in Northamptonshire. 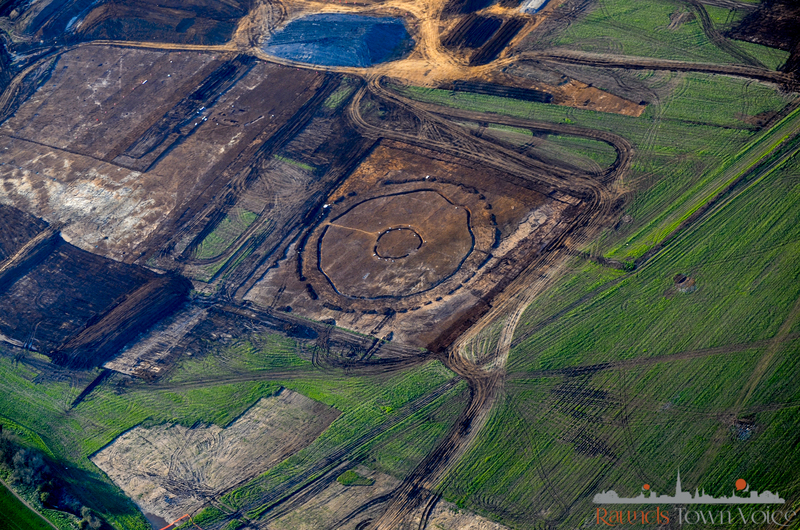 It’s the remains of a huge ring of stones around 100-metres in diameter and thought to be 4,000 years-old. 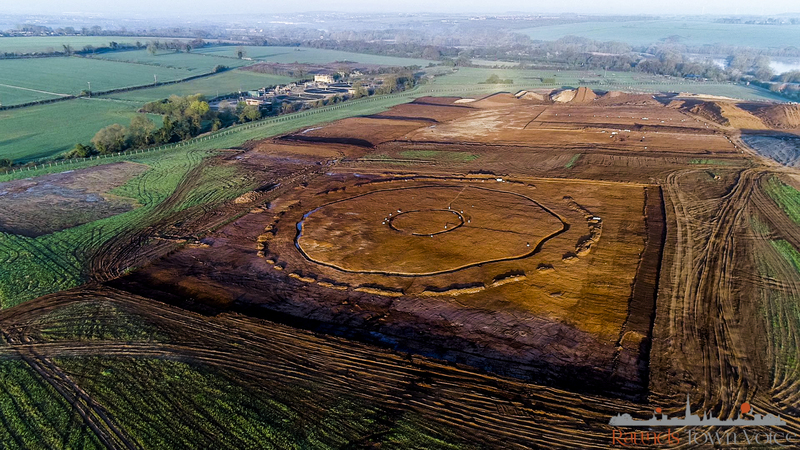 “The henge was known about prior to a planning application being submitted and, once we received an application for this site we consulted the Northamptonshire County Council archaeologist who is a statutory consultee in the planning process. 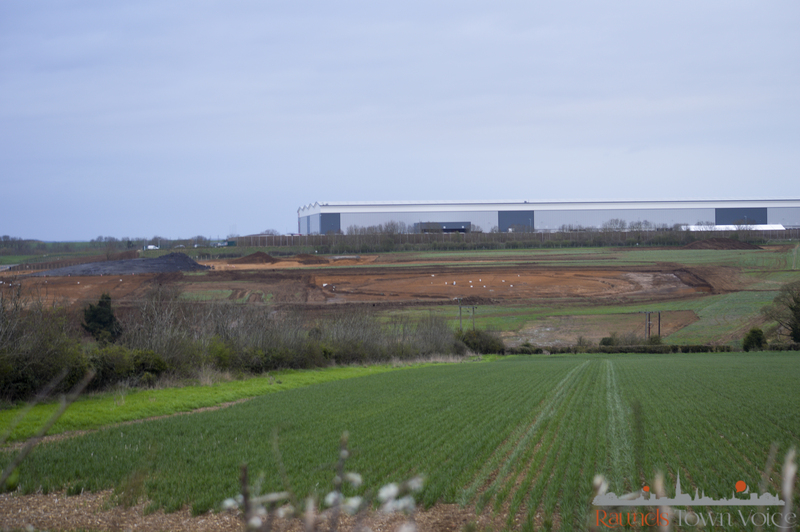 One of the conditions imposed on the application as recommended by the archaeologist was that a scheme of works be developed that sets out how the developers planned to investigate and record their findings. This report was submitted and approved by the council in consultation with the archaeologist a year ago. 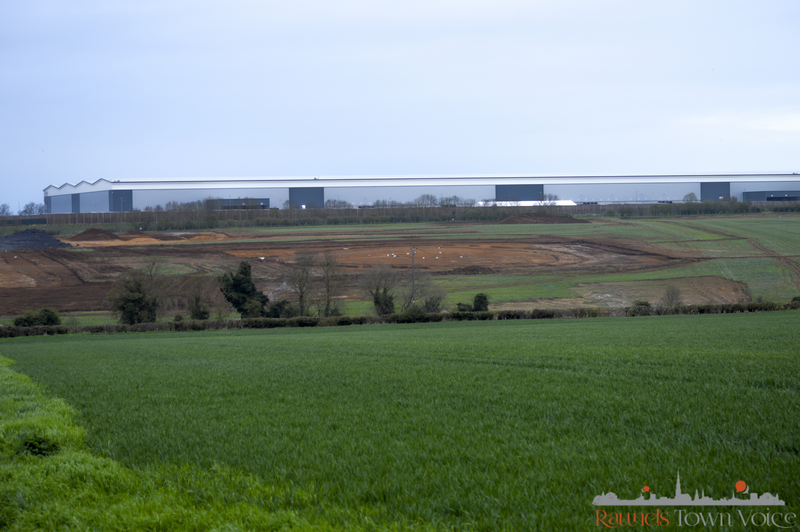 The second part of the condition was that before any work starts the developers must fully investigate the site and report back to the archaeologist on their findings. 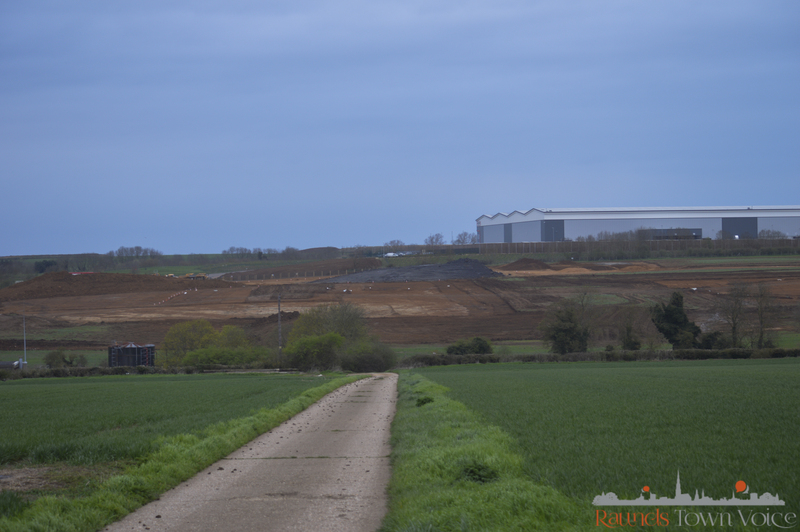 The work that is currently taking place on the site is the archaeology investigation and not the start of building works. 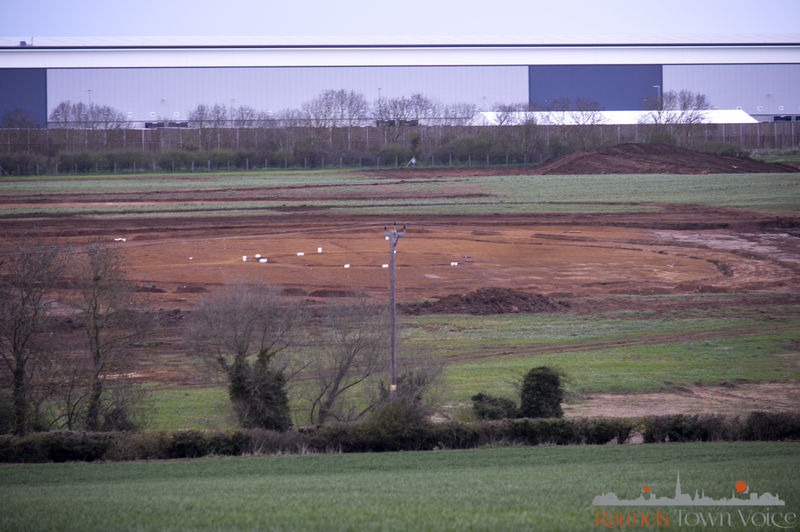 The archaeologist is in regular contact with the developers and is being consulted throughout the process. “A team of archaeologists from Oxford Archaeology East have been working on behalf of Roxhill at the Warth Park development. 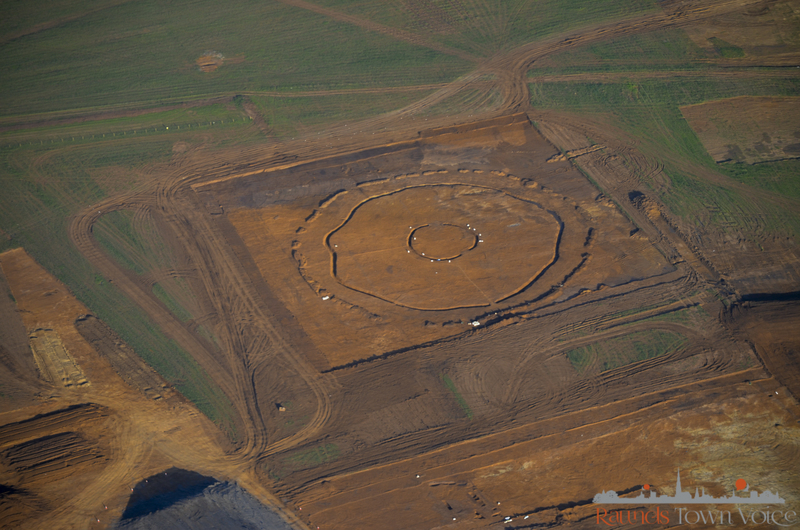 As part of the mitigation strategy for the development, overseen by Liz Mordue the Archaeological Advisor for Northamptonshire County Council and advised by Matthew Nicholas the Historic England Science Advisor for the East Midlands, excavation of the monument known as Cotton Henge is currently underway. 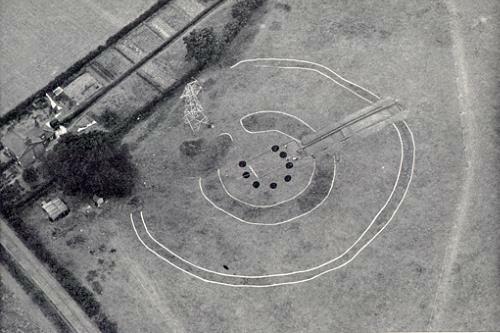 Cotton Henge was first identified by aerial photography back in the 1970’s and recorded on the Northamptonshire Historic Environment Record. It has previously been archaeologically investigated on two other occasions. 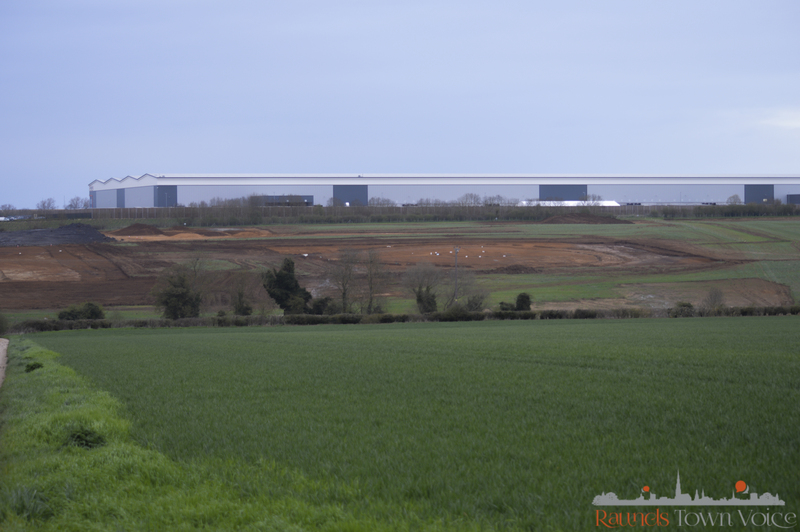 Firstly, by English Heritage in the 1990’s as part of their Raunds Area Project and secondly in 2015 as part of a planning application to develop the site. 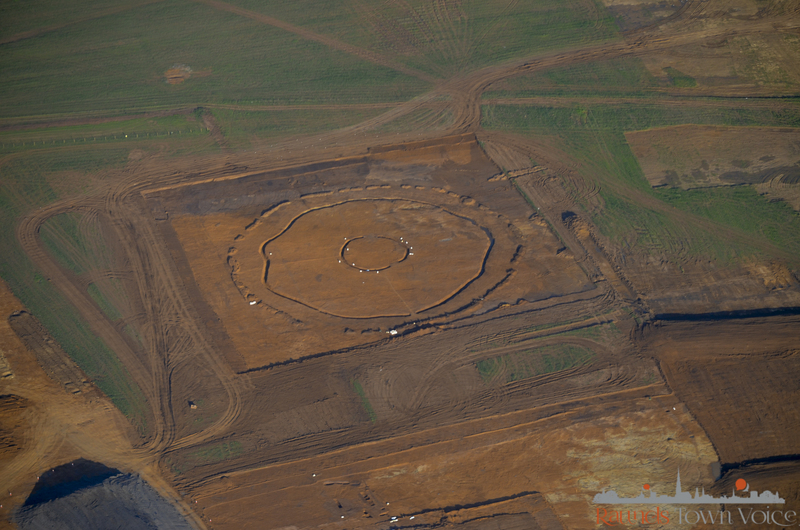 This fieldwork confirmed that the henge comprised two continuous slightly elliptical concentric ring ditches. Cotton Henge is likely to date from the Late Neolithic period (c.3000-2500BC) and it forms part of a larger group of ceremonial features which were located on the floodplain around the River Nene toward Irthlingborough and Stanwick, which were excavated as part of the Raunds Area Project. As a result of previous ploughing on the site, now only the ditches and their fills remain, but artefacts recovered from these fills (such as pottery and flint tools or manufacturing waste), along with environmental remains (in the form of charred seeds and pollen) can help us determine what it was used for and the type of landscape in which it sat. Whilst this monument is commonly known as Cotton Henge, it’s interpretation as a henge has always been a tentative one. A ‘classic’ henge comprises a ditch with an external bank with one or more entranceways, but here the ditch appeared unbroken when the site was first investigated. Hand excavation of the henge by the present archaeological team has identified a small possible closed off entranceway on the southern side of the outer ditch. Cotton Henge is formed purely of two ditches which would originally have had associated external banks, it never contained any standing stones. “The monument known as ‘Cotton Henge’ is not a new discovery, but it is exciting to see it fully uncovered for the first time. The monument was first discovered over 30 years ago and was studied carefully in the 1980s and ’90s but there were still some unanswered questions about its function. The excavations on site are planned to continue for a few more weeks, following which the archaeological team will be writing up the results of the excavations. A series of talks and lectures are planned to local history societies regarding the results of the excavations in the near future. 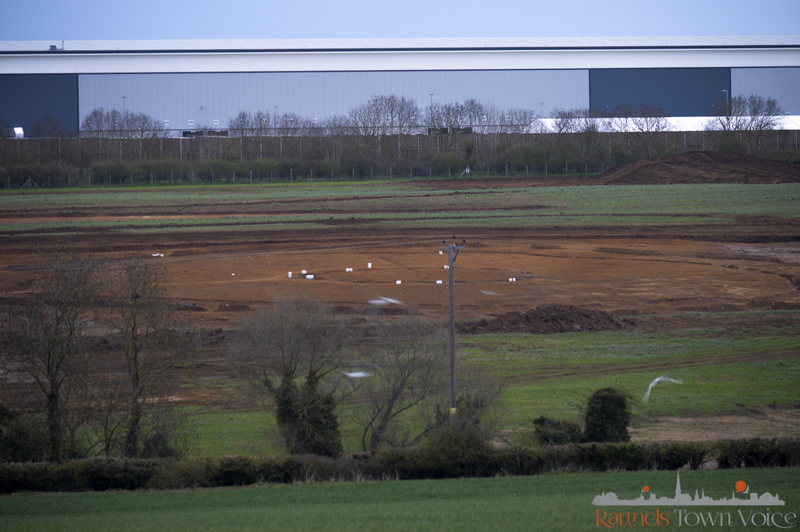 In the longer term, a full report detailing the findings will be issued to the NCC Archaeological Advisor for approval. Once the report is approved it will be put online and made accessible to the public. The current fieldwork at Warth Park is an extremely exciting opportunity to investigate an example of one of these interesting and enigmatic monuments. 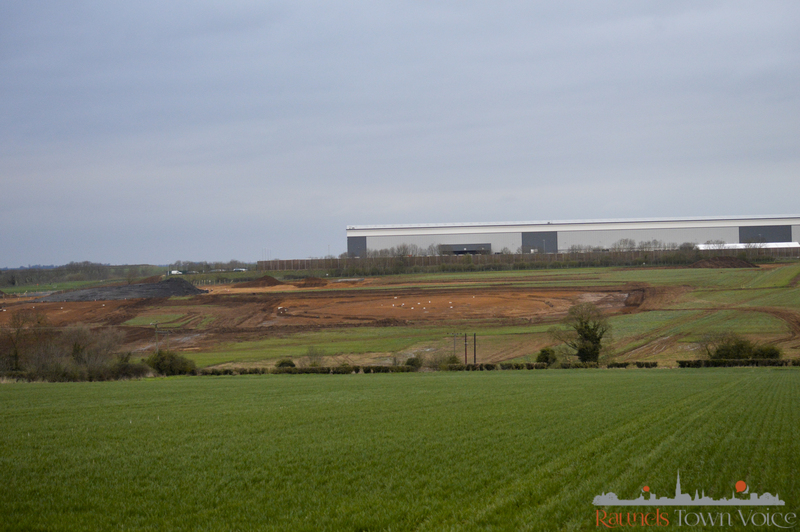 Howdens Joinery, a supplier of joinery and kitchen products are set to occupy the new building planned to be located at this site. We asked them if they had any comment on the uncovering and in particular, the petition to not destroy this monument. 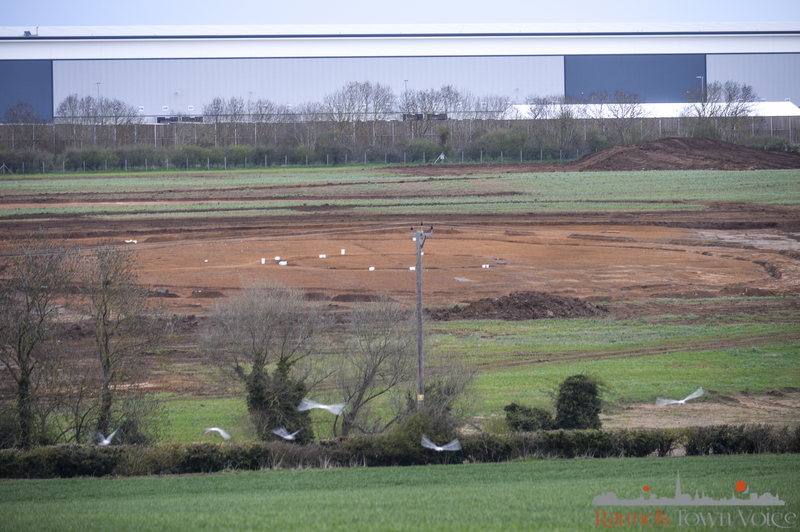 The developers of the site at Raunds are working closely with a team of archaeologists regarding the migration strategy for the development. 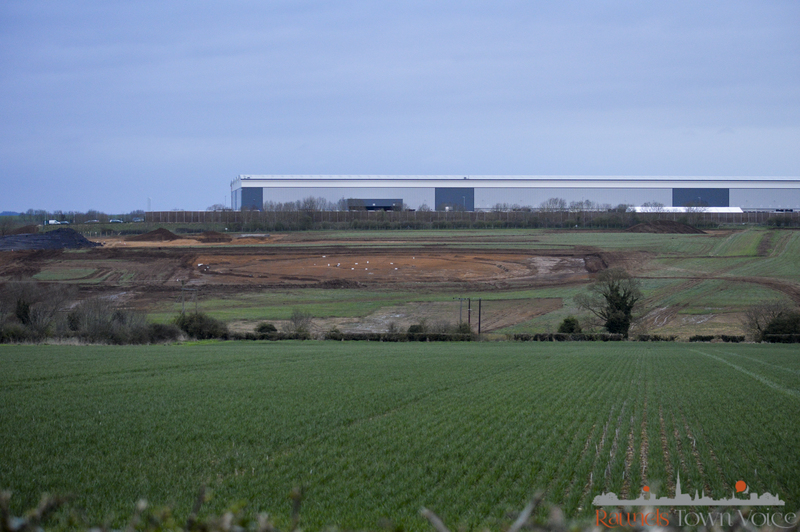 Howdens looks forward to moving into the development at Raunds and being an active member of the local community. Were there ever any stones? 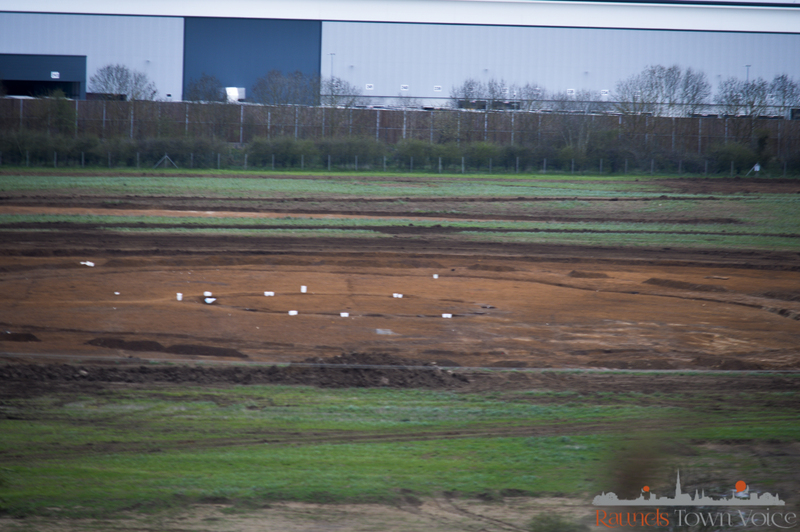 Questions were recently raised with regards to whether there could have been Stones at the Cotton Henge site in its use over history which would increase the sites national importance. 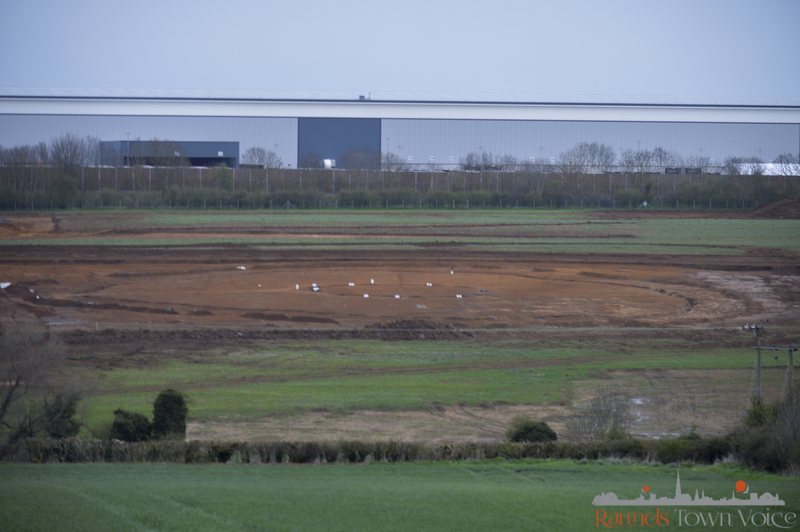 On the meeting held on Monday for the ITV report, several people had made mention that stone settings had been found but were covered up to avoid them being displayed on aerial photography. 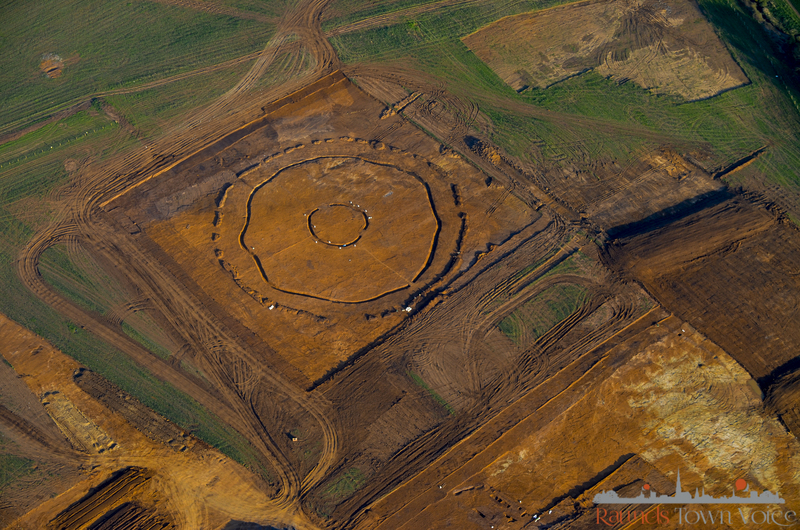 “There is unfortunately no evidence for any stone settings associated with the henge. 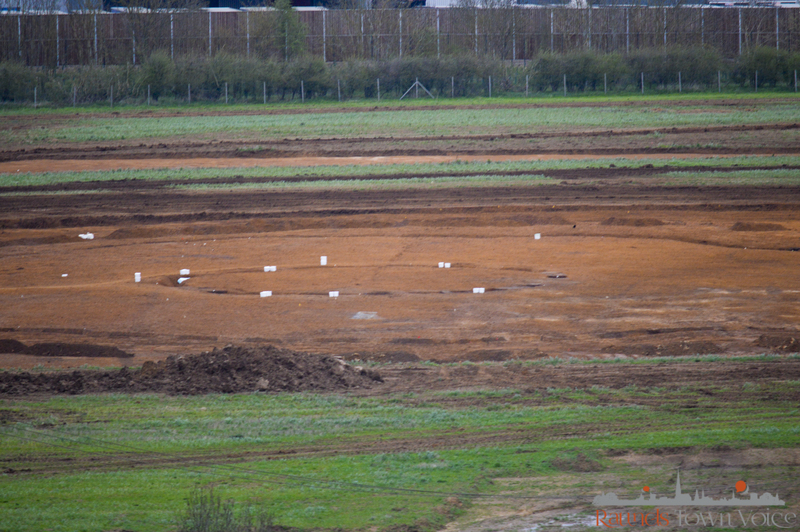 CgMs also told us that backfilling holes would not prevent them showing on drone footage. “Given the amount of work which has been carried out on the site since its discovery, if there had been stones (or even the settings for them, which would be substantial) they would have been found and discussed before now. The simple fact is that there is no evidence for any standing stones, which is unsurprising; stone circles and standing stones are found in a few areas of the British Isles, where either the local geology is suitable or there are numbers of glacial erratics which would have been visible and accessible. What are your thoughts? 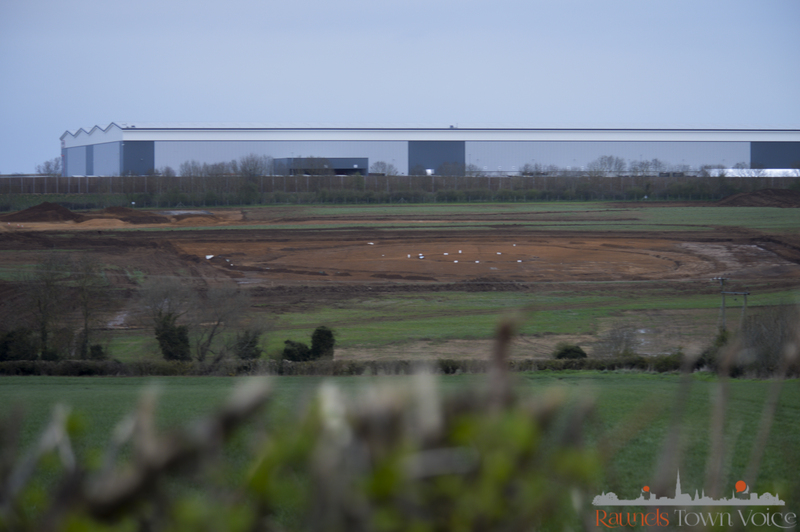 – should this area continue to be built upon for new warehousing? If the site was to be saved, how do you think the site could be best preserved and promoted locally? We have been out with the camera and included some more photos below as well as some great aerial photos which have been donated by John Hunt. 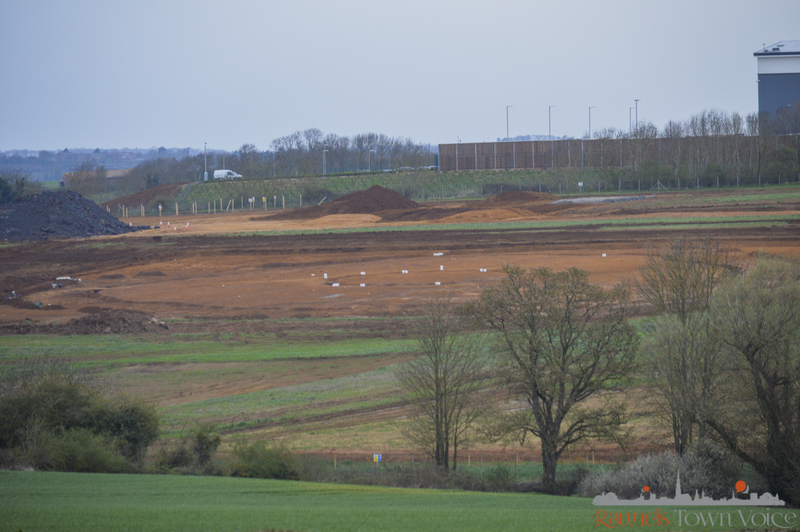 It was known about & repeatedly raised with East Northants Planning officer & committee by Stop Warth Park group. He & the 11 NEC councillors who voted for Warth Park dismissed it. I was & still am appalled by that. Please raise your voices to the County’s archelogical dept, press, English Heritage & any university dept. It’s turned out to have a large outer ring too which means this was a vitally important Neolithic site. It will be covered by tons of concrete in the next 12 months unless there is enough will to stop it based on historical significance. I moved away 6 months ago but have kept up with news. This made me both sad & angry all over again last night. I can’t do anything as no longer in Northants but you all can. Should be stopped immediately and the development scrapped. This is too big to just be ‘recorded’ and then destroyed for eternity by being concreted over for an unnecessary development. It was discovered well over a month ago but appears to have been kept hushed up as it really is a hugely significant find that could potentially put Raunds on the map and be of interest to heritage visitors and tourists that would want to come and see it. It is almost on the scale of stone henge size-wise and I would have expected those in authority to have shouted this from the roof tops, as it is everyone has been alarmingly silent. Are our politicians saying anything about this? Must be a major find. This must be saved. It’s part of the heritage of Raunds. Ugly warehouses must not be built there. 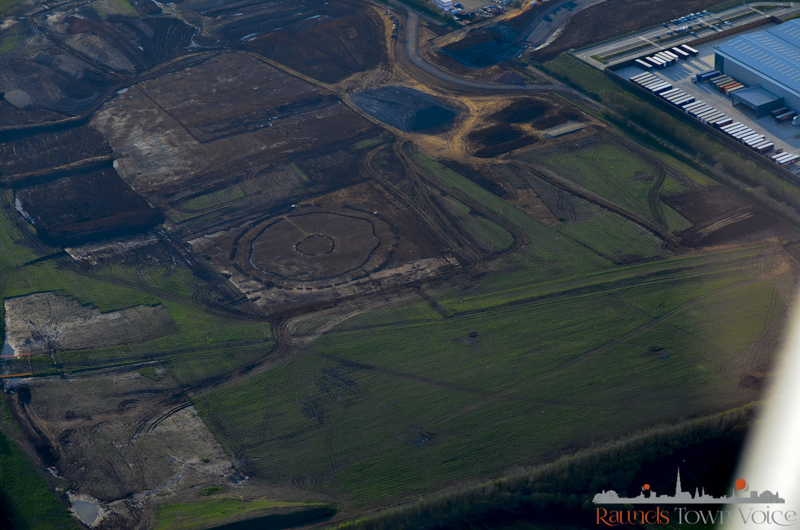 This henge could really tell us more of the story of raunds! This is a massive find and one not to be ignored! We don’t need massive ugly buildings & we don’t need a bigger population . Why would you want to cover up something of beauty & historic amazement with a silver box that produces noise, dirt & traffic! If there is something to be signed, a call to be made, a letter to be penned??? So much history in this town from ancient hill fort to long lost villages and now a henge . With countless sites of intrest being built on . Why do local authorities insist on destroying it when we should be celebrating and preserving this for future generations . Other towns with history like this are classed as world heritage sites . 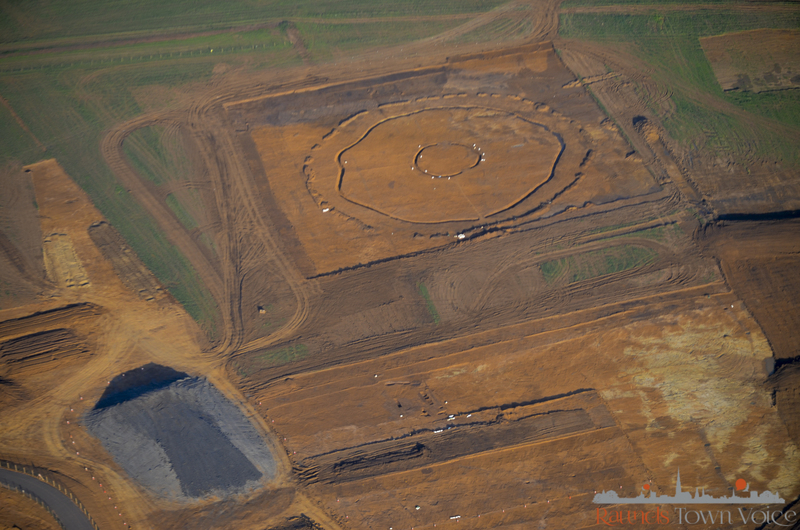 This article from the company stating the Henge was known about totally confuses me. 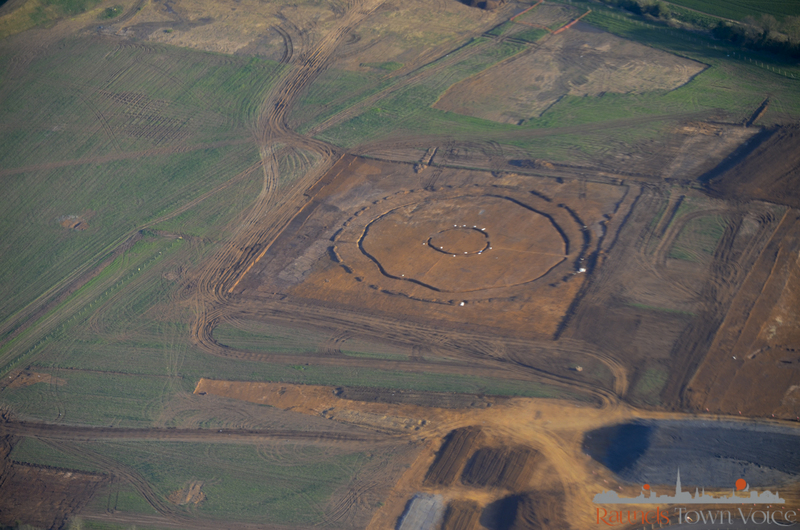 All records i painstakenly researched during 2016 & 2017 whilst fighting the planning application as part of theStop Warth Park group only showed & recorded a single small henge, which can be seen in the photograph as the inner ring. No large outer ring was on anything I found. If this group are now saying they knew about it from the 1980s where was that recorded? You clearly did not do your research painstakingly enough. 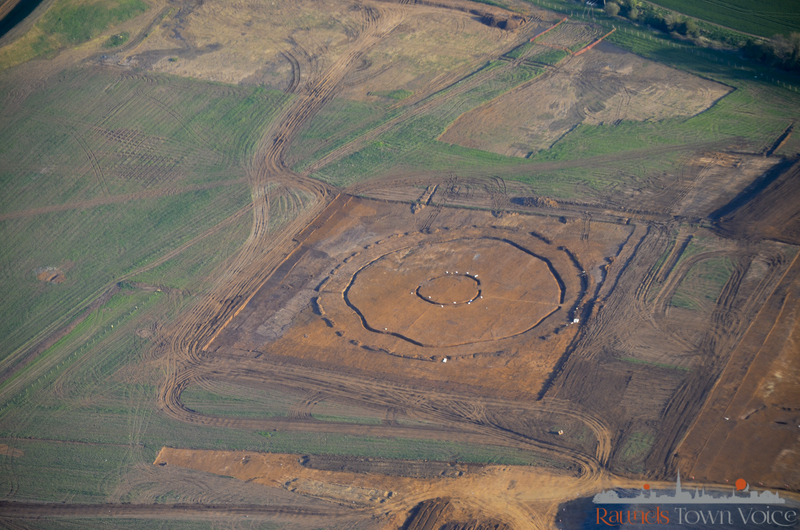 Here is a link to the Historic England report on the Raunds prehistoric monuments, which includes the, so-called, “henge”, with both its ditches. It is available as a free download as well. Just for accuracy, this is not a new find. 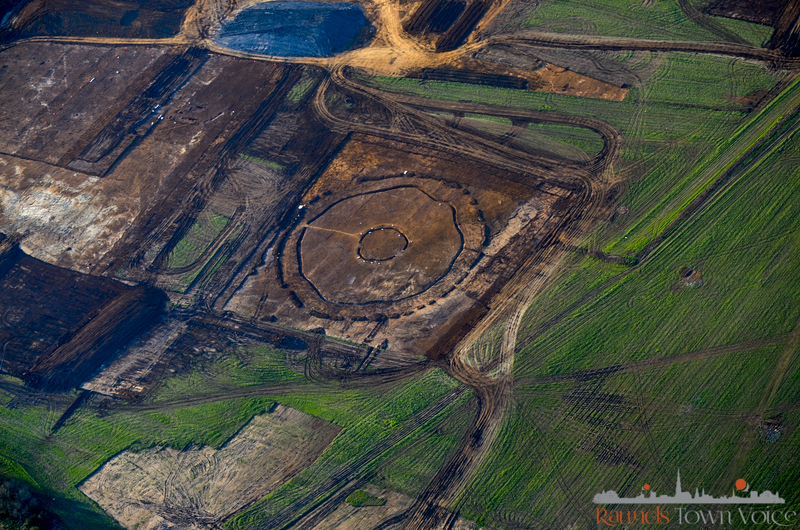 It was seen on aerial photographs in 1980 and dug in 1993. 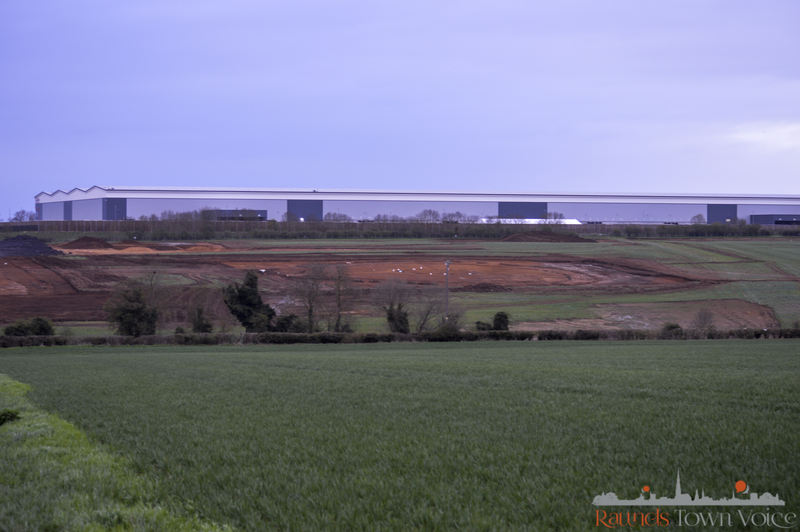 Once the archeologists have completed their investigations and report the development should be allowed to proceed for the economic benefit to the town. The job prospects and civic amenities being provided by the developer far outway the thought of a sterile field being left for a few people to chew over and think they have saved our heritage. All the site historical information and photographs will, no doubt, be available on the internet for all to see. Well done Geoff, finally someone with some common sense rather than this group of nimby’s. I am sure everyone so horrified by this wouldn’t care in the slightest if this was happening somewhere else. 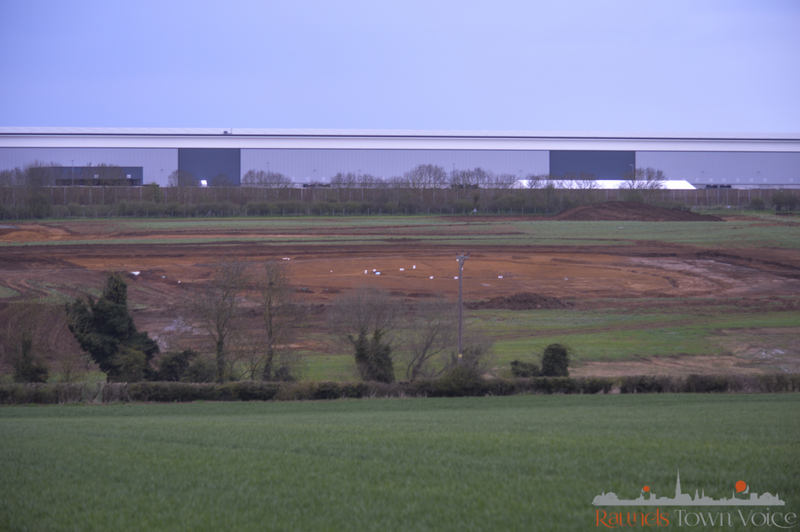 It is being recorded as is standard practice in the heritage industry, being employed by the developer to record any heritage assets within a development area before the developer can start building. It has been like this since 1991. Instead of screaming from the rafters and showing yourselves to be as ignorant as you are, perhaps read up on the planning laws before embarrassing yourselves. All of this shouting and crying that a piece of land is being destroyed. Has no one thought the benefits of building this will out way the muddy field that was there in the beginning. I take it you will cast out your loved ones should they decide to work for HOWDENS and “get in bed with the devil”. The old saying NOT on my doorstep springs to mind. For 1000’s of years this has been buried. It has been documented mapped and will be online for all to see forevermore. I am sure the community will benefit more financially from this development rather than a visitors centre selling coffee and cake. Think of the economic security this will bring. Please tell me of the civil amenities as so far Roxhill have provided a bus stop and a country park that isn’t a country park as the council haven’t the budget to maintain it, so Roxhill do it, very badly. You have to look beyond the financial benefits when it comes to cultural treasures like this. A warehouse can be built again anywhere. 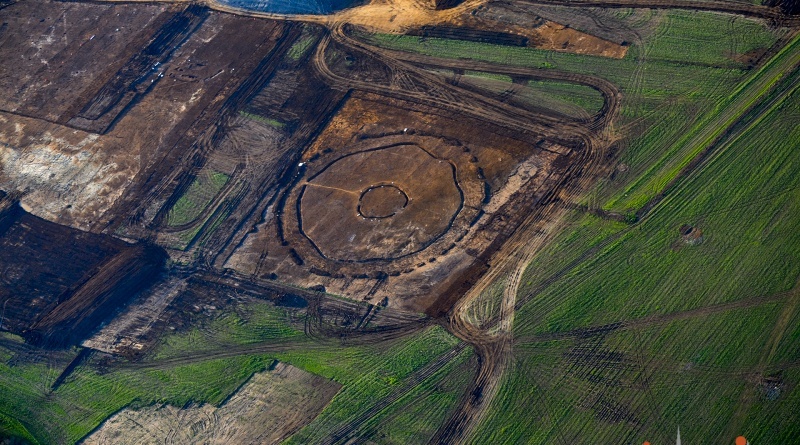 It is a little difficult to build a 4,000-year-old henge. ISIS are lambasted for destroying ancient monuments in Syria and Iraq yet here in Britain its no problem to cover our own monuments in a thick layer of concrete so long as the reason creates greater financial benefits than a ”muddy field” Hang your heads in shame! Ancient culture is being sold down the river for a few shiny pennies! God there are some morons in this town. ‘Economic benefits’, ‘Muddy Fields’, ‘Nimbys’. Not everything in life is about bloody money or jobs. If you’re going to spout crap, at least have the decency and the guts to put your name.